I'm a Native Vietnamese speaker who had been living and studying in China for many years. I am a professional translator and interpreter with extensive experience. I also teach Chinese to Speakers of Other Languages and attended many seminars and courses on translating & interpreting methodology. 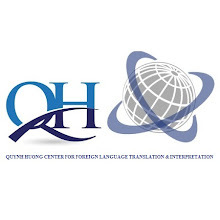 I am willing to translate 500 words from Chinese to Vietnamese for you for $10 or be your interpreter of Chinese - Vietnamese and Vietnamese - Chinese in Hanoi or Bac Giang - Vietnam for $20 per hour. I can guarantee there will be no Vietnamese or Chinese errors whatsoever in any of my translation and interpretation projects. I've worked on numerous translation and interpretation projects and there are no areas that I won't cover. Politics, economy, technology, sports, and the list goes on and on. and getting 100% satisfaction feedback. I will work hard so that my clients return with future projects.